No, there are no famous singers or bands at Cuke-Aid 2015 (Hi, Willie, Neil, & John!). Just me, myself, and 12.7 pounds of cucumbers. That’s the total amount of cucumbers I’ve gotten this season. I know it’s 12.7 pounds of cucumbers because I am absolutely that person who weighs her farmshare produce. This way I can tell you the exact, insane amount of cucumbers that have made their way to my door. Soon I will only be able to speak in Cucumber-ese. Why, yes, those are cucumbers you see there. Did I mention TWELVE POUNDS?? This week brought the perfect opportunity to do just that, because summer has finally shown up in Chicago and it’s been the general hot, sticky, sweaty mess that makes up a Chicago summer. It’s also Lollapalooza weekend, so a few (hundred) thousand of my friends and I will be outside, enjoying some tunes, watching the world go by, and generally being sweaty hippies. You can bet by the end of the night there is nothing you want more than a light, refreshing, non-beer, and less than $15 cocktail. So I made up a batch of Cucumber-ade to keep on hand for sparkling cocktails to drink on the balcony while reviewing our favorite entertainers (both on and off stage). Tip: Use a Pyrex 8-cup measuring cup (aff link). This is one of the best investments you can make in your kitchen. Great for mixing and pouring all sorts of things (batters, ice cream bases, infused liquors, juices, etc.). 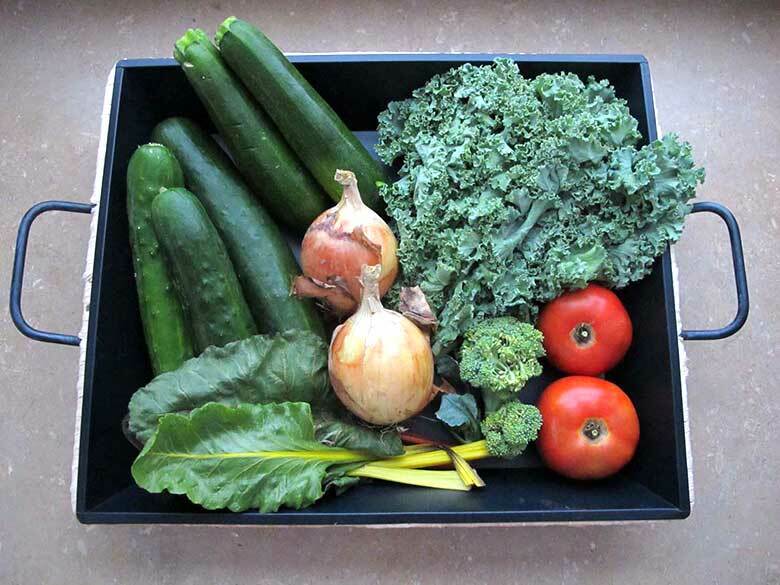 It will make pouring your drained cucumber juice into a more storage friendly container a super simple task. Line a colander with cheese cloth and set aside. Peel the cucumbers and slice in half and then into two inch chunks. Puree in batches in a food processor or blender and pour each batch into the colander. Once all of the cucumbers are pureed, let sit for 15-20 minutes. After most of the juice has drained, pick up the corners of the cheesecloth, twist together, and squeeze the rest of the pulp to release the remainder of the juice. Throw away (or compost!) the pulp. 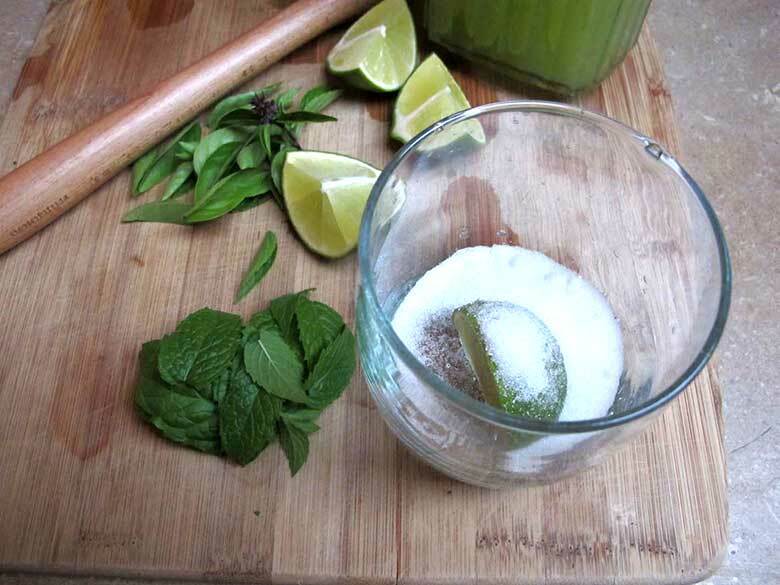 Serve over ice with a squeeze of lime or add some soda or booze (or both!). The final amount of juice you get will vary depending on the size and age of your cucumbers. A hybrid between a Gin & Tonic and a Mojito, this is the perfect drink for when you just can’t deal with the humidity. Mix one up, sit on your porch, or balcony, or in your open window, and watch the world go by. 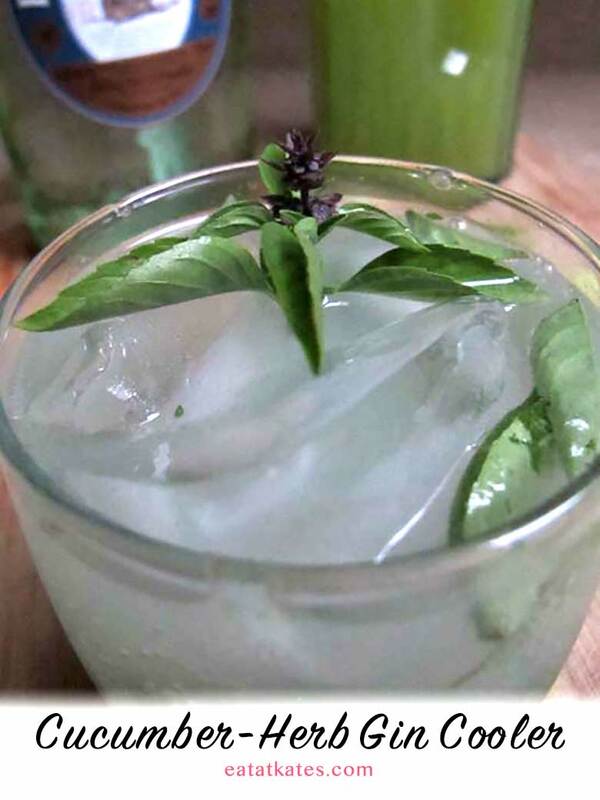 1/4 cup fresh herbs; mint and thai basil here, but use your favorites! 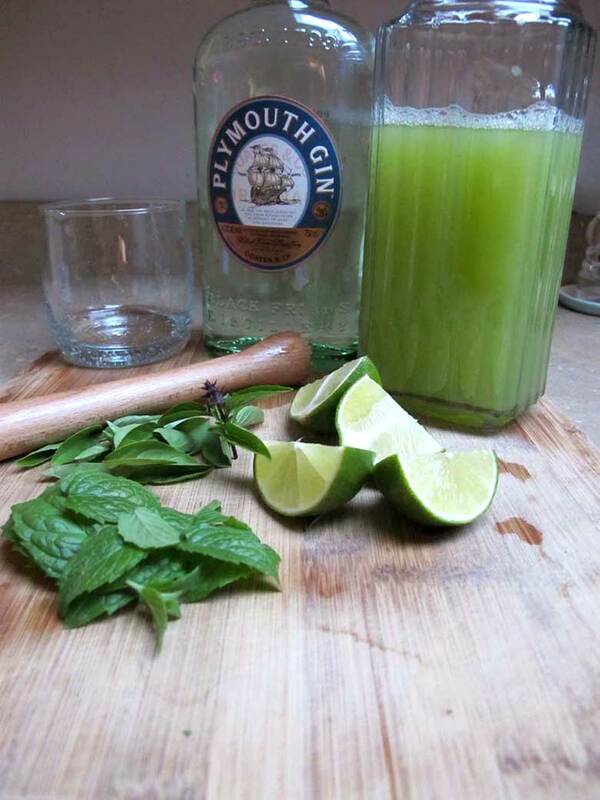 In your preferred drinking glass, muddle the lime and sugar until a syrup forms. Add the fresh herbs and muddle, lightly, until you can smell them. Pour in gin and cucumber juice. Top with whichever fizzy goodness you prefer: soda, tonic, or sparkling water.